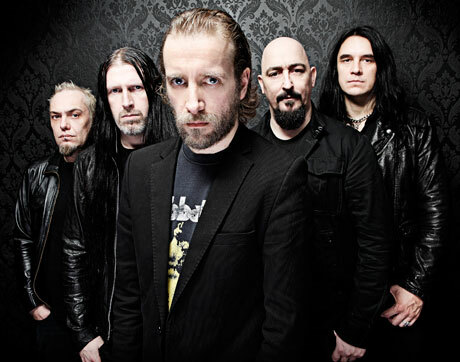 Paradise Lost, as part of the original unholy trinity of UK gothic doom, have a great deal of history to live up to. The band's path forward from those illustrious origins hasn't always been obvious, but it's hard not to respect their tenacity. Nearly 25 years into their career, Paradise Lost demonstrate with Tragic Idol that 13 (as in albums) can be a particularly exquisite number. Our first taste of the record –— video/single "Honesty in Death" — offers a strong sense of Tragic Idol's dark, melodic groove and themes, but the music only gets better as you dig deeper. "Solitary One" is haunting enough, but the more aggressive and spellbinding "Crucify" follows, with several other at least as impressive tracks throughout. Tragic Idol follows a similar pattern as 2009's Faith Divides Us — Death Unites Us, getting better with each listen. It's not that the records sound the same, but they share a dusky dexterity that moves the performances between bouts of intensely catchy, driving rock and gloom, and a more fundamental fusion of melody and extreme metal. As much as Nick Holmes represents the easily recognizable face and voice of Paradise Lost, it's the guitar work, especially Greg Mackintosh's leads, that's at the core of the songs' siren irresistibility. Those leads interweave with, and against, Holmes's gruff vocals and the rest of the band's deep rhythmic support until, every so often, the frequencies tap into something primal.